REEF. RF-002345GIS. AHI. BLACK GREEN.Slap time to nap time. Specifically designed for the little kid who goes hard and has a good time. 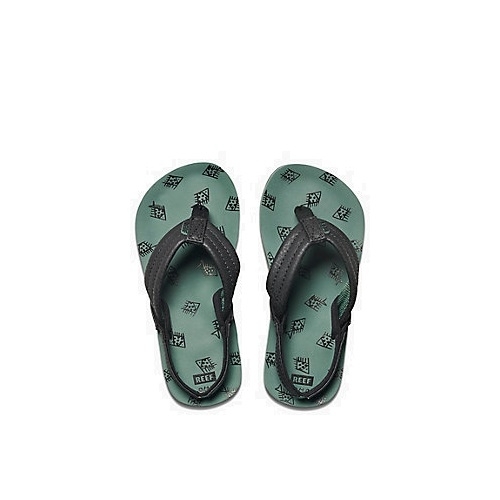 Many whimsical style prints to choose from the Ahi sandals feature synthetic strap with soft polyester lining durable high-density EVA outsole for the grom who doesn t stop.